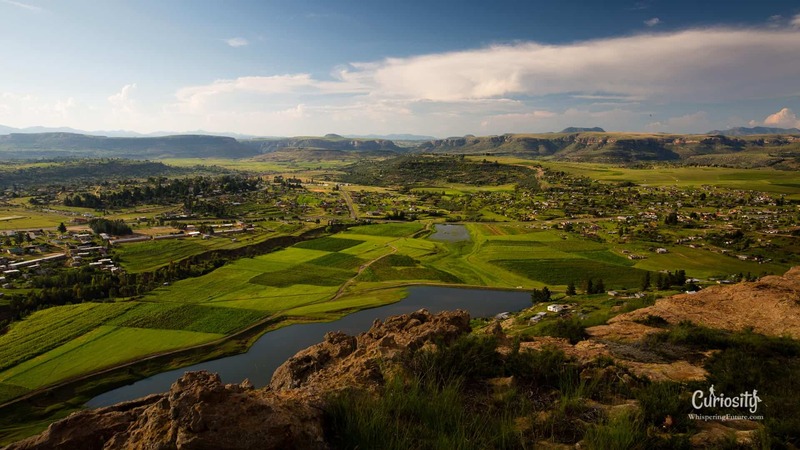 At a glance, the contrast between Lesotho with its South African neighbors is surprising. 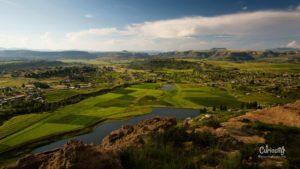 This continent’s region of arid climate and abundance of wildlife is replaced with archetypal scenery, summit freshness, and sparse tourist activity. The landscapes are spectacular with serene and verdant villages while people travel on horseback, often dressed in their traditional outfits. 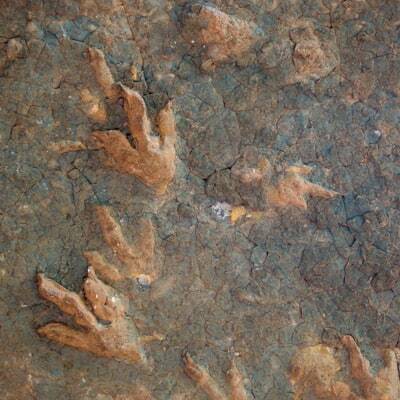 All this within mountains that bore witness to its first inhabitants, the dinosaurs. its own historical identity and mountainous territory. during the Difaqane Period, as well as the Boers and British. 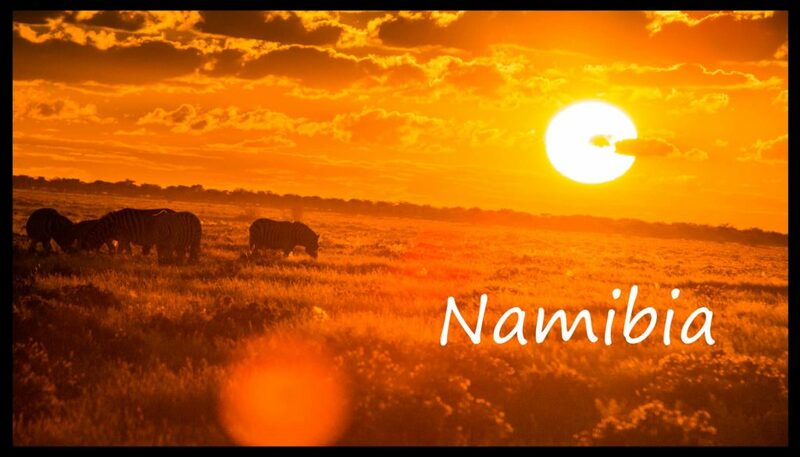 despite losing part of its fertile lands to the Boers. 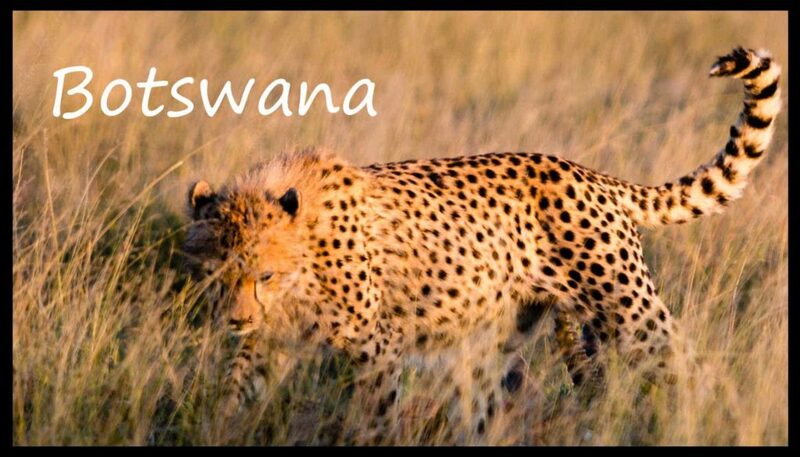 extends across South Africa, to Lesotho. 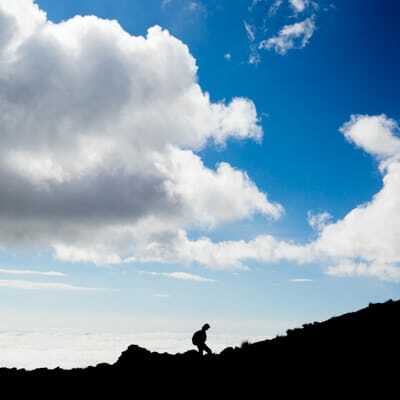 making it the highest point in southern Africa. which can be appreciated in total seclusion. with grasslands ideal for raising goats and sheep. and provide water as the country’s main natural resource. and vulnerable to increasingly frequent droughts in the region. 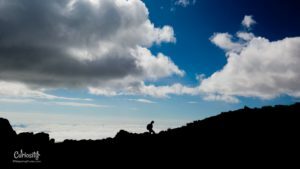 we often see shepherds dispersed throughout the mountains with their herds. 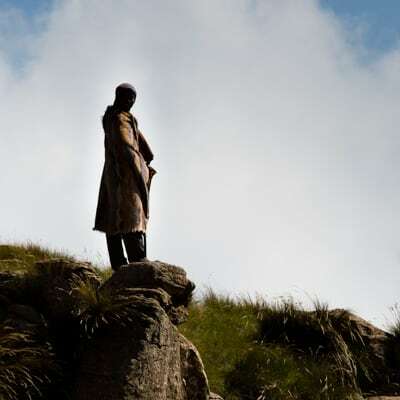 The Basotho blanket, their traditional dress, is very common and adds to the locale’s legitimacy. acting as a symbol of social status as well as everyday and ceremonial clothing. 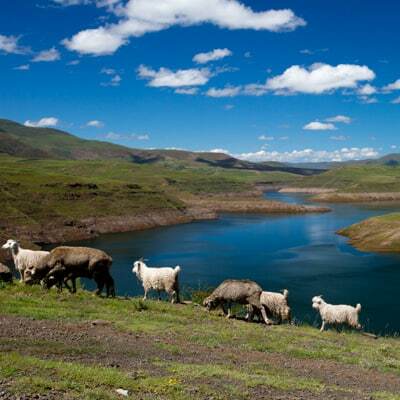 Lesotho's population is mainly rural and subsists off of crops and small livestock. built from natural elements found nearby such as stone, wood and soil. as well as a very short life expectancy due to having one of the highest HIV infection rates in the world. the highest HIV infection rates in the world. dinosaurs remind us that they were part of its first inhabitants millions of years ago! 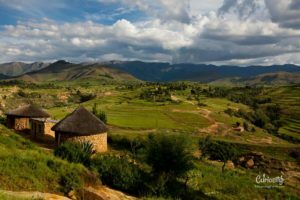 Entirely encircled by South Africa, Lesotho possesses its own historical identity and mountainous territory. 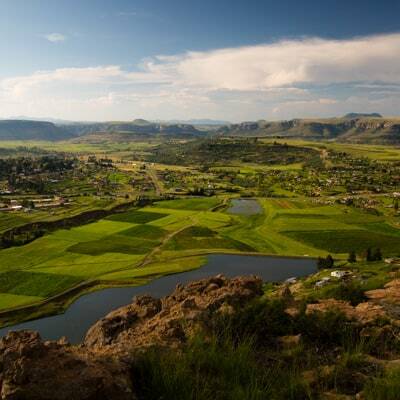 The region’s rugged terrain enabled the Basotho people, previously established in the Free State Province of South Africa, to take refuge there and withstand several invasions from the Zulus during the Difaqane Period, as well as the Boers and British. 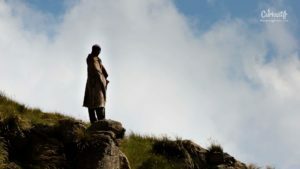 Moreover, the country did not suffer from apartheid like its South African Neighbors in forming an alliance with the British government, despite losing part of its fertile lands to the Boers. Below the clouds the magnificent Sani Pass extends across South Africa to Lesotho. A land of volcanic mountains, the whole area is located at more than 1300 metres altitude, while Mount Thabana-Ntlenyana rises to 3482 metres, making it the highest point in southern Africa. 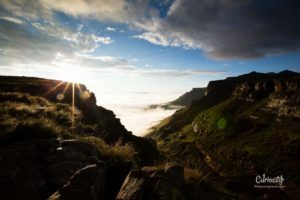 Forming the border between Lesotho and South Africa, the Drakensberg mountains offer exceptional panoramas which can be appreciated in total seclusion. In contrast to the usual images of African landscapes, Lesotho has a temperate and variable climate with grasslands ideal for raising goats and sheep. Their mountains peaks can be covered in snow during the winter and provide water as the country’s main natural resource. 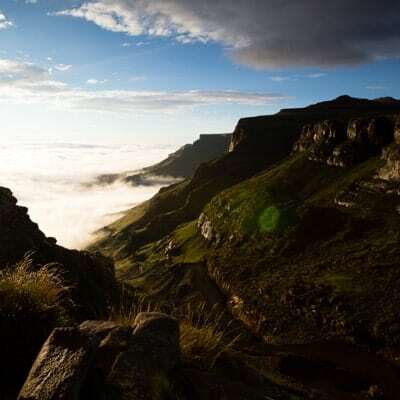 These summits are considered South Africa’s water reservoir which it supplies heavily. While the damns created for this purpose create a new source of revenue and allows for the country’s energy independence, the project is sometimes accused of being made at the expense of its local population who are suffering from drying rivers and vulnerable to increasingly frequent droughts in the region. 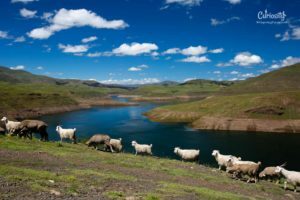 Although the country is sparsely populated and its landscapes are occasionally deserted, we often see shepherds dispersed throughout the mountains with their herds. The various designs and ways it is worn have different meanings, acting as a symbol of social status as well as everyday and ceremonial clothing. 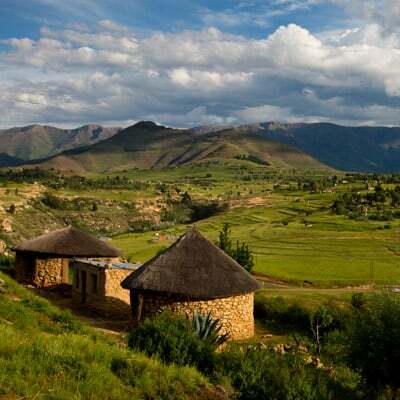 Lesotho’s population is mainly rural and subsists off of crops and small livestock. Villages are often comprised of rondavels, traditional South African houses built from natural elements found nearby such as stone, wood and soil. 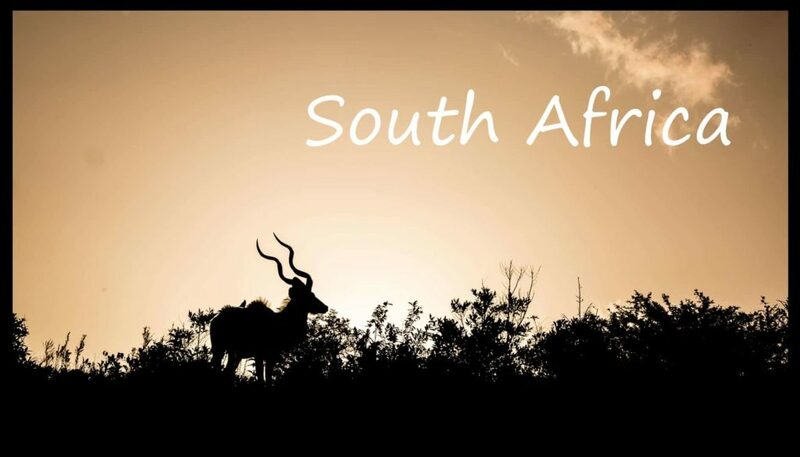 Despite the location’s beauty, however, its populations faces several difficulties such as high unemployment rates forcing many to work in South Africa’s mining industry as well as a very short life expectancy due to having one of the highest HIV infection rates in the world. 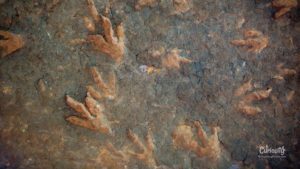 Even though the San people have lived in these mountains since prehistoric times, dinosaurs remind us that they were part of its first inhabitants millions of years ago!